SEEKING KNOW‐IT‐ALL NEW YORKERS AND LOVERS OF NYC! 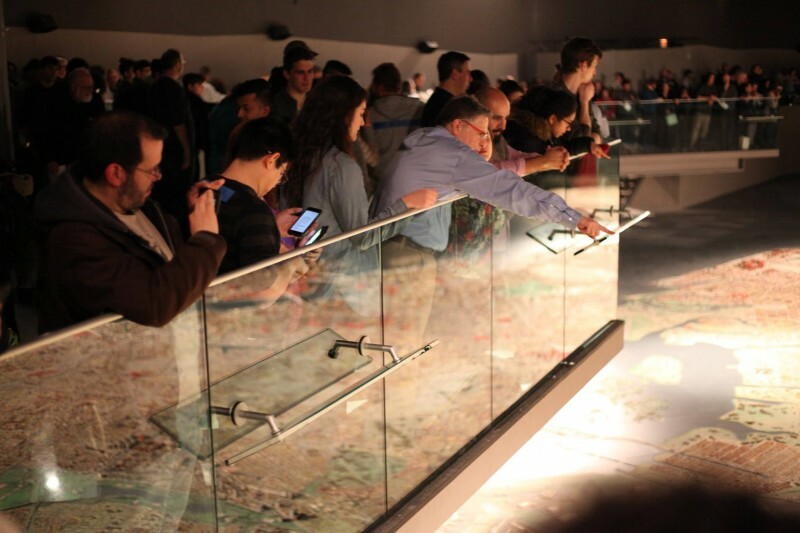 Meet us at the world’s largest architectural scale model – The Panorama of the City of New York at the Queens Museum – for a most unusual evening of trivia with the whole city at your feet. Panorama Challenge quizzes players on all things NYC! MC Matt Apter reads questions while our judges highlight clues on the Panorama using lasers (well, laser pointers). Players in teams of 10 (or so) use those clues (and musical hints!) ​to determine the correct answer. Quizmaster Jonathan Turer returns for his seventh year with another batch of new questions! This year categories may include: Gotham Gangsters on Film, McKim Mead & White sites, and other questions based on the Grammys, the movie Wonderstruck and the exhibit Never Built New York at the Queens Museum. The ever-popular Halftime Quiz will also be returning. This year promises another impressive panel of judges; stay tuned for more details! While scores are tallied, there will be an electrifying performance by Batalá New York — an all-woman Afro-Brazilian samba reggae percussion band! Sandwiches, snacks, and beverages available for purchase, with beer from our friends at the Rockaway Brewing Company. Proceeds from admission and concessions support The City Reliquary Museum and Queens Museum. A free shuttle will travel between the Queens Museum and under the Mets‐Willets Point 7 stop from 5:30-7pm and 9-10 pm. About The City Reliquary Museum: The City Reliquary Museum & Civic Organization preserves the everyday artifacts that connect visitors to the past and present of New York City. It was originally established as an apartment window display in 2002 at the corner of Grand and Havemeyer Streets and relocated to 370 Metropolitan Avenue in 2006. The Reliquary also hosts public events that invite neighbors and visitors to meet, exchange ideas, and celebrate the diversity of our community.